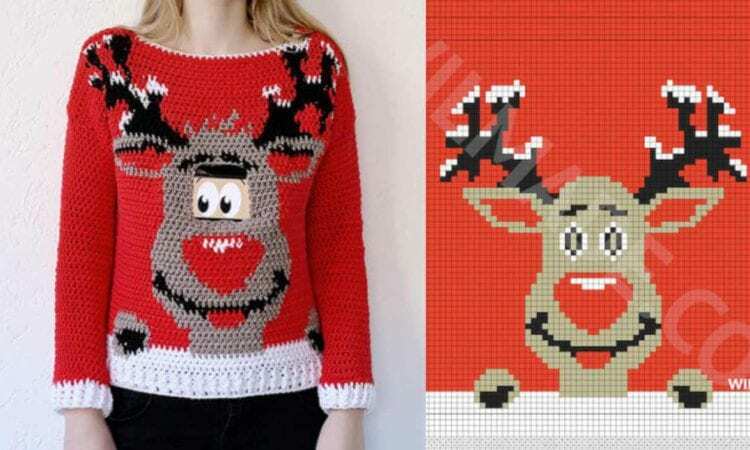 A Christmas sweater doesn’t have to be ugly. Actually it can be quite cute and there is nothing more cute than the Red-Nosed Reindeer. I’m sure every kid will love it and when you add the digital eyes, it will be a hit. If not, a version with traditional eyes is also included. However, if you do wish to make this a traditional ugly Christmas sweater, then feel free to play around with color combos to achieve the ultimate Christmas “Ugh!”. Link to a free pattern and a video tutorial are below.